Draft: 2002, Atlanta Braves, 3rd rd. Charlie and his wife, Cindy, live in Bradenton, Fla., with their four children: Cam, Grace, Benji and Emelia…"Cam" is an acronym for Charles Alfred Morton V, his full name…the Astros clinched the AL West on the day Emelia was born last season and teammate George Springer video called Charlie at the hospital from the clubhouse celebration...While recovering from Tommy John surgery, he discovered an interest in barbecuing and woodworking…he's serious about his barbecue, often rising at 3 a.m. on the day of a big cookout and not finishing his food preparations until 4 or 5 p.m. …he also fashioned the kitchen table the family eats its meals on at home...He likes to spend his free time playing the guitar, singing, reading and playing video games...It's suspected that former Pirates teammate Jared Hughes has made unauthorized edits to Charlie's Wikipedia page several times, including to say he was "infamous for owning a steakhouse and is a steak connoisseur"...John Smoltz was his biggest pitching influence growing up and as a young player in the Braves system…while many others have impacted him as a pitcher, perhaps none has more than Roy Halladay, who Charlie describes as the best overall pitcher he's ever watched in person...Charlie has been heavily involved with supporting military personnel in his career…his grandfathers Charles Morton Jr. and Bob Pfeilsticker both fought in World War II…Pfeilsticker was an Army Air Corps navigator who flew 50 combat missions and also spent time in the Philadelphia Athletics minor league system. In his second season with the Astros, established career highs with 15 wins, 30 starts and 201 SO and a career-low 3.13 ERA…led the majors with a .833 winning pct., joining Roger Clemens (.818) in 2004 as the only Astros to ever do that…ranked 7th in the AL in ERA and tied for 10th in wins...Also ranked among AL leaders in opp avg. (.213, 5th) and SO/9 IP ratio (10.83, 5th)…allowed 18 HR in 167 IP for a 0.97 HR/9 IP ratio, 8th- lowest in the AL…tied BOS Rick Porcello for the AL lead with 16 HBP...According to FanGraphs, averaged 95.7 mph on his fastball, 4th in the AL...Recorded double-digit strikeouts in 6 starts...Won his first seven decisions spanning 10 starts to extend his winning streak to a career-long 10 games, dating back to Sep 15, 2017 vs. SEA…went 10-0 with a 2.03 ERA (80-IP, 18-ER) and .184 opp avg. (52-for-282) in 13 starts over that span...Went 11-2 with a 2.96 ERA (112.1-IP, 37-ER) in 19 starts before the All-Star break and was named to the AL All-Star Team, his first career selection…his 11 wins in the first half tied for 4th in the AL...On April 2 vs. BAL, started the Astros home opener and did not allow a run in 6 IP…yielded an unearned run in his next start on April 8 vs. SD to become the eighth pitcher in club history to begin the season making back-to-back starts without allowing an earned run...On May 12 vs. TEX, recorded a career-high 14 SO in 7 IP…was the sixth time in Astros history a pitcher recorded 14 SO (or more) and 0 BB...On June 15 at KC, made his 200th career start...On June 26 vs. TOR, recorded 13 SO in 7 IP on 98 pitches (67 strikes)…was the second time in franchise history a pitcher recorded at least 13 SO while throwing fewer than 100 pitches, joining Gerrit Cole who did it just over two months earlier on April 13 vs. TEX...Placed on the 10-day DL on Aug 29 with right shoulder discomfort and missed 1 start...Named the club's Darryl Kile Award winner by the St. Louis Chapter of the BBWAA…the award is presented annually to the Cardinals and Astros player who best exemplifies Kile's traits of "a good teammate, a great friend, a fine father and a humble man"...ALL-STAR GAME: Added to the AL All-Star Team as an injury replacement, his first career selection…was named to the team to replace NYY Aroldis Chapman the same day Blake Snell was chosen to replace CLE Corey Kluber… was the seventh pitcher used by the AL, and charged a blown save after yielding 2 R/ER in 2 IP…allowed a pair of solo homers, to COL Trevor Story in the 7th inning and MIL Christian Yelich in the 8th...POSTSEASON: Started Game 4 of the ALCS against the Red Sox and did not factor in the decision of an 8-6 loss…yielded 3 runs in 2.1 IP...Agreed to a two-year contract with the Rays on Dec 21, including a club option for the 2021 season…was the third time under Stuart Sternberg's ownership group the Rays signed a player who was an All-Star the season prior…they signed catcher Wilson Ramos following the 2016 season and right-handed pitcher Grant Balfour following the 2013 season. Formerly a low 90's sinkerballer, was one of the game's hardest throwing starting pitchers and one of the top strikeout pitchers in the American League...averaged 95.0 miles per hour on his fastball, which was the seventh-hardest fastball among all Major League starting pitchers...ranked seventh in the AL in strikeouts per 9.0 innings ratio with a 10.00 mark (min. 140IP)...won a career-high 14 games while striking out a career-high 163 batters, posting a 3.62 ERA in his first season with Houston...his breakout was sparked by a newfound dominance over left-handed hitters, as he held them to a .175 batting average (44x252) and .561 OPS, marks that ranked third and fifth in the AL, respectively...was a hero for the Astros in the postseason, getting the win in Game 7 of the ALCS vs. NYY, and Game 7 of the World Series at LAD...became the first pitcher in MLB history to get the win in two Game 7's in a single postseason...set career-best marks in WHIP (1.19), opponent batting average (.228), strikeouts per 9.0 innings (10.00), strikeout rate (26.4%) and strikeout to walk ratio (3.26)...his 52.8% groundball rate was his lowest since the 2010 season (47.2%), but was still an excellent mark as it ranked as the fourth-best mark among AL pitchers (min. 140IP)...recorded three double-digit strikeout games...entered the season with just one on his ledger over his entire Major League career (June 25, 2014 at TB)...batters whiffed on close to half of the swings taken against his curveball (42.91%)...no AL starting pitcher generated more whiffs per swing on their curveball than Morton (min. 500 curveballs thrown)...batters hit .111 against his curveball, which was the best mark among Major League starters...went at least 5.0 innings in each of his 25 starts, which was the longest streak of his career...was the second-longest start-of-career streak in Astros history, behind RHP Brett Myers (51 starts from 2010-11)...led the Astros with two pickofffs...was on the Astros Opening Day roster and started the third game of the season...had one DL stint...placed on the 10-day DL on May 28 with a strained right lat...activated from the DL on July 7...prior to hitting the DL on May 25, went 5-3 with a 4.06 ERA (26ER/57.2IP) and a .253 opponent batting average in 10 starts...in 15 starts after returning from the DL, went 9-4 with a 3.34 ERA (33ER/89IP), a .210 opponent batting average and 98 strikeouts...ranked among the top 10 AL pitchers in wins (T-4th), strikeouts (8th), strikeouts per 9.0 innings (9th, 9.91) and opponent batting average (4th) after his return from the DL... set a career high with 12 strikeouts on April 28 vs. OAK...was his second career double-digit strikeout game... became the first Astros pitcher with 12 strikeouts in a game since LHP Dallas Keuchel struck out 12 on Sept. 6, 2015 vs. MIN...won his 50th career game in the Major Leagues on May 9 vs. ATL, his former organization...struck out at least five batters in 12 consecutive starts from July 14-Sept. 23, which was the longest streak of his career (previously 8, June 2-July 12, 2014)...had 86 strikeouts in 70.2 innings in that span...had a strong finish to the season, going 4-1 with a 2.54 ERA (8ER/28.1IP) in five starts during the month of September...made three rehab appearances between Triple A Fresno (June 22 and June 27) and Double A Corpus Christi (July 2)...gave up just one earned run in those 10.1 rehab innings...made five apperances (four starts) in the postseason, going 2-1 with a 4.24 ERA (11ER/23.1IP) and 25 strikeouts...started Game 4 of the ALDS at BOS, giving up two runs on seven hits in 4.1 innings, striking out six in a 5-4 Astros win...started Game 3 of the ALCS at NYY (7ER/3.2IP)...also started Game 7 of the ALCS vs. NYY, getting the win after throwing 5.0 shutout innings of two-hit ball...walked one and struck out five...prior to his outing, the last pitcher to be scoreless over at least 5.0 innings in a Game 7 was Madison Bumgarner in the 2014 World Series...the last pitcher to be scoreless over at least 5.0 innings of a Game 7, while striking out at least five batters, was Jack Morris in the 1991 World Series...started Game 4 of the World Series vs. LAD and tossed a quality start, giving up just one run in 6.1 innings pitched, allowing three hits and no walks with seven strikeouts...the Astros lost that game 6-2...faced the minimum through 5.0 innings...his seven strikeouts marked a postseason career high, and tied the most by an Astros starter in a World Series game (also Brandon Backe)...got the win in Game 7 of the World Series at LAD after throwing the final 4.0 innings...allowed one run on two hits with four strikeouts...became the fifth pitcher in MLB history to get the win in Game 7 of the World Series after throwing 4.0+ relief innings...joined Bob Turley (1958), Joe Page (1947), Ray Kremer (1925) and Walter Johnson (1924). In his only season with the Phillies, made four starts, going 1-1 with a 4.15 ERA (8ER/17.1IP)...held opponents to a .651 OPS and .242 opponent batting average...was placed on the 15-day DL with a left hamstring strain on April 24 and missed the remainder of the season...underwent successful surgery on May 2 and later transferred to the 60-day DL on June 1...became a free agent for the first time in his career and would sign a two year contract with the Astros on Nov. 16, 2016. Posted his highest starts and innings pitched totals since the 2011 season (29 starts/171.2ip)...Set a career high in strikeouts...Posted a 2.41 ERA (74.2ip/20er) in his 12 starts at PNC Park...Led all Major League pitchers with 19 hit batsmen...Made season debut on 4/2 and struck out six batters in 6.0 scoreless innings vs. Chicago (NL)...Lost each of his first six decisions thru 5/18, but posted a 3.45 ERA in that time...Pitched season-high 8.0 innings in a no-decision on 5/6 vs. San Francisco...Picked up first win in his 10th start on 5/23 vs. Washington (5.0ip/1er)...Went six straight starts (38.0ip) without allowing a home run between 4/23 and 5/23...Posted a 2.51 ERA (37.1ip/10er) in six starts during the month of May...Struck out nine batters while winning his second game on 6/2 at San Diego...Won his second straight start on 6/9 vs. Chicago (7.0ip/1er/7so)...Struck out a career-high 11 batters, but suffered a 5-1 loss to David Price on 6/25 at Tampa Bay...Opposed Adam Wainwright and gave up just one hit while pitching 7.0 scoreless frames at St. Louis on 7/7, but received a no-decision in the 2-0 Cardinals walkoff win in the ninth inning...Gave up five runs in a season-low 3.0ip on 8/15 at Washington...Was placed on the 15-day disabled list on 8/17 (retro to 8/16) with right hip inflammation...Had a bullpen session on 8/22 in Milwaukee and another one on 8/25 at PNC Park in Pittsburgh...Made a rehab start with Double-A Altoona on 8/28 and threw 73 pitches in a no-decision vs. Richmond (4.0ip/4h/2r/2er/1bb/6so)...Threw a simulated game on 9/2 at Busch Stadium (77 pitches) and another one on 9/9 at Citizens Bank Park (86 pitches)...Was reinstated from D.L. on 9/16 and made start that night vs. Boston; tossed 5.0 scoreless innings and picked up the win - his first since 7/2...Underwent surgery on 9/26 to repair the labrum in his right hip; the surgery was performed by Dr. Thomas Byrd in Nashville, TN...Went 2-for-40 (.050) with an RBI, one walk and eight sacrifice bunts at the plate with the Pirates. 2013 SEASON: Began season on 15-day disabled list recovering from right elbow surgery...Began a rehab assignment with High-A Bradenton on 4/18 and threw 44 pitches in 3.0 innings (2r)...Threw 69 pitches over four scoreless innings for Double-A Altoona and allowed one hit in start on 4/23...Made second start with Altoona on 4/28 vs. Erie and won a 3-1 decision (6.0ip/3h/1r/1er/1bb/4so - 70 pitches)...Had rehab transferred to Triple-A Indianapolis, where he made first start on 5/3 at Lehigh Valley; left game after 3.0 innings (49 pitches) due to tightness in right shoulder...Was recalled from rehab assignment on 5/4...Threw a 43-pitch bullpen session at PNC Park on 5/13...Made rehab starts with Altoona on 5/16 (4.0ip/2h/2r/2er/1bb/1so - 61 pitches) and 5/21 (4.2ip/4h/2r/2er/2bb/3so - 80 pitches)...Welcomed the birth of his son, Charles Alfred V, on 5/23...Had rehab transferred to Indianapolis on 5/27 and suffered a 9-1 loss that night vs. Pawtucket (5.0ip/7h/5r/4er/3bb/3so - 88 pitches)...Was transferred to the 60-day D.L. on 5/31...Threw 86 pitches in rehab start with Indy on 6/2 at Columbus (4.2ip/3h/2r/2er/4bb/4so)...Made ninth and final rehab start on 6/8 with Indianapolis vs. Norfolk (6.1ip/6h/2r/2er/1bb/4so - 96 pitches)...Was recalled from rehab and reinstated from D.L. on 6/13...Made start on 6/13 vs. San Francisco (5.0ip/4r/2er) and suffered loss in his first big league game since 5/29/12...Threw 5.1 innings of scoreless ball while winning his first big league game since 5/12/12 in a 4-0 victory at Cincinnati on 6/18...Did not return in his start on 6/30 vs. Milwaukee after 2.0 innings due to a 2:20 rain delay...Surrendered a pair of two-run homers to Alfonso Soriano and lost a 4-2 decision at Wrigley Field on 7/6...Won back-to-back starts on 7/22 and 7/27...Gave up 10 hits and five runs in 6.0ip while losing his third game on 8/1 vs. St. Louis; also snapped an 0-for-27 streak at the plate with a single off Joe Kelly in the game (first big league hit since 9/20/11)...Pitched 7.0 innings and surrendered just two runs while winning his fourth game on 8/7 vs. Miami; also tallied an RBI-single - his first big league RBI since 7/24/11...Posted a 2.68 ERA (40.1ip/12er) in August and won a career-high four straight decisions from 8/7 thru 9/2...Left his start on 9/8 at St. Louis with discomfort in left foot (1.2ip/5er)...Pitched 7.0 scoreless innings of three-hit ball on 9/23 at Chicago (NL), but received a no-decision in Pittsburgh's 2-1 win...Tied career high (eighth time) with five walks in final regular season start on 9/28 at Cincinnati...Posted a 2.85 ERA (53.2ip/17er) in nine starts at PNC Park...Held right-handed hitters to a .223 (55-for-247) average; left-handed batters hit .312 (58-for-186)...Went 5-for-36 (.139) with an RBI and two sac bunts at the plate...Agreed to terms on a three-year contract extension on 12/11. 2013 POSTSEASON: Was the starter and loser in Game Four of the N.L.D.S. vs. St. Louis...Opposed Michael Wacha, who took a no-hitter into the eighth inning, and pitched 5.0 scoreless frames before surrendering a two-run homer to Carlos Beltran in the sixth inning; the Pirates lost the game, 2-1. Began season on 15-day disabled list recovering from off-season hip surgery...Received a no-decision in his rehab start with Triple-A Indianapolis on 4/9 at Columbus...Was recalled from rehab and reinstated from D.L. on 4/14; made first start with Pirates that night at San Francisco (ND, 5.0ip/3er)...Suffered loss in second start on 4/20 vs. St. Louis (5.0ip/2r/1er)...Gave up one run in 7.0 innings and won first game on 4/25 vs. Colorado...Lost back-to-back starts on 5/1 and 5/6...Won his second and final game of the season on 5/12 vs. Houston...Lost each of his last three starts...Pitched a season-low 4.0 innings in final start on 5/29 vs. Cincinnati...Was placed on the 15-day D.L. on 6/1 (retro to 5/30) with right elbow inflammation...Had surgery to repair the ulnar collateral ligament in his right elbow (Tommy John surgery) on 6/14; surgery was performed by Dr. James Andrews in Pensacola, FL...Was transferred to the 60-day D.L. on 6/24...Spent the rest of the summer months rehabbing the elbow at Pirate City in Bradenton, FL. Led Pittsburgh staff with 171.2 innings pitched and his 10 wins rankedsecond behind Kevin Correia (12)...Surrendered just six home runs - the fewest amountallowed by all Major League pitchers with at least 110.0ip...Went 6-3 with a 2.47 ERA(102.0ip/28er) in 16 starts when pitching on five or more days of rest...Held right-handedbatters to a .220 average (84-for-381) and one home run, while lefties hit .364 (102-for-280) with five home runs against him...Won his first two decisions - matching his victorytotal from a year ago...Tossed his second complete game in his third start on 4/15 atCincinnati, throwing 81 of his 110 pitches for strikes...Suffered first loss on 4/20 at Florida...Left his start on 4/26 vs. San Francisco with a 2-1 lead in 7th inning, but bullpen suffered3-2 loss...Won career-high three straight starts from 5/1-18 to improve record to 5-1...Tossed a five-hit shutout (second career) and his second complete game of the seasonon 5/18 at Cincinnati...Went 3-1 with a 2.06 ERA (35.0ip/8er) in five starts during themonth of May; ranked seventh in the N.L. in ERA...Had a 7-3 record and a 3.21 ERA following his 13th start on 6/15 at Houston...Tossed5.0 scoreless innings and combined with four other pitchers on a three-hit shutout vs. Cincinnati on 7/18...Produced a club season-highand career-high 24.0 innings scoreless streak from 7/29 to 8/14...Pitched 8.0 scoreless frames and combined with Jose Veras on a 5-0blanking at San Francisco on 8/8 while winning his ninth decision...Left his next two starts with leads only to have the bullpen sufferblown saves...Lost four straight starts from 8/25 thru 9/14...Missed his scheduled start on 9/10 due to arm fatigue...Tossed 6.0 scorelessinnings while winning his 10th game on 9/20 at Arizona...Received a no-decision in his final start on 9/26 at Milwaukee (5.0ip/5er); leftthe game with a 7-5 lead...Went 4-for-50 (.080) with three doubles and two RBI as a batter...Tallied both RBI on sacrifice flies; on 5/1 atColorado and 7/24 vs. St. Louis...Snapped an 0-for-29 streak with a double at Milwaukee on 8/14...Led club, and tied for seventh in theN.L., with seven sacrifice bunts. Began season in Pittsburgh's starting rotation...Went 0-5 with a 12.57 ERA (19.1ip/31r/27er) in his first five starts,giving up at least five runs in all five outings...Lasted just 1.0+ inning and gave up six runs in third start on 4/20 vs. Milwaukee...Gaveup two runs in 6.0ip+ and won first game on 5/5 vs. Chicago (NL)...Lost his nextfour starts and was 1-9 with a 9.35 ERA (43.1ip/52r/45er) after his first 10starts thru 5/27...Was on the disabled list with right shoulder fatigue from 5/28to 7/2...Made five starts with Triple-A Indianapolis while on a rehab assignmentfrom 6/8-29...Pitched a two-hitter and gave up just one run while winning hisfourth rehab start on 6/24 vs. Durham...Was recalled from rehab, reinstatedfrom the D.L. and optioned to Indianapolis on 7/1...Won three of his last fourTriple-A decisions...Went 1-0 with a 1.50 ERA (24.0ip/6r/4er) in four starts withIndy during the month of August...Was recalled by Pittsburgh on 8/28...Sufferedan 8-4 loss (3.1ip/8r/7er) in first start back with Pirates on 8/29 atMilwaukee...Also gave up six runs (two earned) while suffering an 8-1 loss vs.Washington on 9/5...Received back-to-back no-decisions before winning an 11-6 decision (6.0ip/2er) vs. St. Louis on 9/22; the victory snapped his six-gamelosing streak with the Bucs that dated back to 5/11...Struck out a career-high nine batters (also a season-high for a Pittsburgh pitcher),but suffered a 2-0 loss in final start on 10/2 at Florida...Went 1-3 with a 5.45 ERA (36.1ip/22er) in his last seven big league starts...Went1-for-26 at the plate...Snapped an 0-for-22 streak with a single off Kyle Lohse on 9/27. Went 7-2 with a 2.26 ERA (71.2ip/18er) in 11 minorleague starts before being recalled by the Pirates on 6/10...Went on to post bigleague career highs in wins, games, innings pitched and strikeouts...Began seasonwith Gwinnett (Braves' AAA) and gave up just one hit and one run while winninghis first start on 4/12 at Charlotte; also struck out 12 batters and walked one in6.0ip...Whiffed 10 batters and gave up two hits and one run, but suffered loss infifth start on 5/3 at Pawtucket...Went 5-0 with a 1.40 ERA (38.2ip/6er) in finalfive starts with Gwinnett...Tossed a seven-hit shutout in final game with the Braveson 5/29 at Syracuse...Was acquired by Pittsburgh on 6/3 and was assigned to Triple-A Indianapolis...Made lone start with the Indians on 6/4 vs.Lehigh Valley and pitched 7.0 scoreless innings in a no-decision (Indy won the game 1-0 with a run in the bottom of the 9th)...Was recalled by thePirates on 6/10...Made first start for the Bucs on 6/10 at Atlanta, but was removed after tossing a scoreless first inning due to tightness in righthamstring...Was skipped in the rotation his next time thru and did not start again until 6/20 at Colorado; received a no-decision that night(5.0ip/2er) in club's 9-7 walkoff loss...Suffered loss in third start - and first at PNC Park - a 3-2 setback to Zack Greinke and the Royals on6/28...Surrendered just one hit and tossed 6.0 scoreless innings while winning first game in a Pittsburgh uniform on 7/3 at Florida...Gave up fiveruns in 4.0ip and lost second decision on 7/8 at Houston...Pitched 7.0 scoreless innings in a combined shutout (2-0) vs. San Francisco in first startafter the All-Star break on 7/18...Lost four straight decisions from 7/28 thru 8/14...Gave up 10 runs in 1.0ip+ at Wrigley Field on 8/14 (Pirateslost 17-2)...Snapped four-game skid with win vs. Cincinnati on 8/21 (6.1ip/2er)...Suffered seventh loss on 9/1 at Cincinnati; also tallied RBI-singlein the game...Gave up three runs in 6.0ip, but lost eighth game on 9/11 at Houston...Pitched 7.0 innings and gave up just one run while winningfourth game on 9/18 vs. San Diego...Tossed 7.0 innings again, but lost a 4-1 decision to Cincinnati on 9/24 at PNC Park...Recorded first MajorLeague shutout and whiffed career-high eight batters while tossing four-hitter in final start on 9/30 at Chicago (game 1)...Won two of his last threestarts and posted a 1.95 ERA (23.0ip/5er) while tossing at least 7.0 innings in all three starts...Went 3-3 with a 3.50 ERA (46.1ip/18er) in lastseven starts (after giving up 10 runs in Chicago on 8/14)...The Pirates went 7-11 in his 18 starts...Went 4-for-31 (.129) with one RBI at the plate. Rookie split the season between Richmond (AAA) and Atlanta, making his MLB debut on 6/14 at LAA....Won his major league debut on 6/14 at LAA (6.0 IP/3 ER). Four of his six innings were 1-2-3 frames and...Ranked fifth on the Braves with his 15 starts....He was 1-6 with a 7.02 ERA in eight home starts and 3-2 with a 5.08 ERA in seven road starts. Heldopponents to a .240 average on the road, but .299 at home.he fanned the first two hitters he faced (Figgins and Izturis)....As a starter (15 games), he went 4-8 with a 6.32 ERA....Made first career relief appearance on 9/21 vs. NYM going 2.0 scoreless innings. It was his firstappearance since 9/2 at FLA when he was sidelined with a sore back....Was recalled on 7/28 for the second time this season and had his roughest outing later that night when heallowed a career-high eight runs on seven hits in 3.2 innings of Atlanta's 12-3 loss vs. STL....Had his contract purchased on 6/14 from Richmond, where he was 5-2 with a 2.05 ERA in 12 starts(also made one relief appearance)....Posted a quality start in four of his six games in August....Won for the first time in eight home starts and snapped a three-game losing streak by beating FLA, 4-2,on 8/28 in Atlanta. He allowed just two runs on four hits in 6.0 IP....Allowed four runs on a career-high five walks in a career-low 1.1 IP on 8/22 at STL in an 18-3 Cardinalsblowout. The loss marked his sixth in seven starts dating to 7/22 at FLA....Suffered a 3-1 loss to the Giants on 8/17, while going 6.0 strong innings. He struck out a career-high sixbatters with a career-high 111 pitches and allowed three runs on seven hits....After two seven-inning starts, he went just 2.1 IP on 8/13 vs. CHI in a 10-2 loss. He allowed four runs onfour hits and issued four walks for the third time in five starts....Matched his career high for the second consecutive outing with 7.0 IP on 8/7 at ARI and allowed no runsfor the first time in his 10 career starts. He picked up the win in the 6-4 victory to snap his three-gamelosing streak that dated back to 7/22....His 7.0 IP in the 4-2 loss on 8/2 vs. MIL marked a new career high. He held the Brewers to two runs onfour hits with a walk and four strikeouts. He allowed one hit through 6.0 IP and retired 15 consecutivebatters until a Prince Fielder solo HR in the seventh inning....Was saddled with a 4-0 loss on 7/22 at FLA. Held the Marlins to two hits in 5.2 IP, but he allowed fourruns, all with two outs, including a three-spot in the fourth inning on Mike Jacobs' three-run homer....Won his second game, and first against an NL team, with a 4-1 win at SD on 7/12. It marked his fewestruns allowed in his brief career....Allowed six runs, all with two outs, in 6.0 IP on 7/6 vs. HOU. Did not earn a decision in the Braves' 7-6,17-inning win. Houston scored five runs in the third inning, capped by a Ty Wigginton grand slam....Was on the losing end of a tough-luck 4-3 loss to Milwaukee on 6/24 (6.0 IP, 7 H, 4 R, 2 ER, 1 BB, 4 K) asAtlanta committed a season-high four errors, including three in the first inning that led to two unearnedruns. The Braves did not score a run while Charlie was in the game....Allowed three runs in five innings 6/19 at TEX and got a ND in the 5-4 loss. He squandered a 2-0 leadwith some tough luck, allowing a run in the fifth inning and then after an infield hit and a walk he wasremoved from the game only to see both runners score on a three-run home run....Held Triple-A hitters to a .181 average by allowing 51 hits in 79.0 innings. He also did not allow a HR....Worked five or more innings in 11 of his 13 Triple-A appearances....Had his best outing (minor league) of the season at DUR on 6/3. He struck out a career-high 13 andallowed one hit and one walk in 8.0 IP....Bounced back from his first loss of season by tossing 7.0 shutout innings in a 3-0 win over SYR on 5/29....Faced ROC for the second time in three starts and earned his first win of the season in Game 1 on 4/15(7.0, 7 H, 2 R, 2 ER, 2 BB, 3 K). Spent entire season at Mississippi (Braves' AA) and finished third on the squad in appearances...Made first outing in relief on4/6 at Huntsville and escaped a bases loaded jam to record his first Double-A win...Went 2-0 with a 2.79 ERA (9.2ip/3er) in his first sevengames, picking up second win on 4/23 vs. Birmingham...Suffered losses in back-to-back appearances on 5/16 at Birmingham and 5/20vs. Tennessee...Received a no-decision in first start on 5/31 at Charlotte (5.0ip/1h/1r/1er/1bb/5so)...Was victorious in back-to-backoutings on 6/4 vs. West Tenn and 6/7 at Birmingham...Gave up seven runs in 3.1ip in second start on 6/26 vs. Montgomery and sufferedthe loss...Lost his last three decisions...Suffered loss in third start on 8/5 vs. Huntsville (5.1ip/3er)...Made final three appearances as astarter, losing at Jacksonville on 8/23 (5.0ip/3r/2er) and receiving no-decisions in final two starts on 8/28 vs. Birmingham(7.0ip/2h/1r/1er/0bb/7so) and 9/2 vs. Mobile (2.0ip/1h/0r)...Went 4-3 with a 4.15 ERA (52.0ip/24er) in 35 regular season relief appearancesand 0-3 with a 4.55 ERA (27.2ip/14er) in six starts...Started Game Two of the Southern League Division Series and pitched 7.0 innings whileleading Mississippi to a series-tying win...Posted a 4-1 record and a 2.57 ERA in six games (five starts) for Peoria during the Arizona FallLeague...Held opponents to a .205 average and his four wins tied for second in the league. Split season between bullpen and starting rotation while spending season with Myrtle Beach (Braves' A)...Went 4-5 with a 5.29ERA (66.1ip/39er) in 14 starts and 2-2 with two saves and a 5.61 ERA (33.2ip/21er) in 16 relief appearances...Ranked third on staff ininnings pitched and strikeouts...Made final eight outings in relief...Picked up first save on 8/22 at Wilmington and second one on 8/28 atFrederick. Was rated by Baseball America as having the "Best Curveball" in the Atlanta system prior to the season...Spent second straightfull season with Rome (Braves' A)...Established minor league career highs in starts and innings pitched...Began season in starting rotationand went 1-6 with a 6.15 ERA in 14 starts before making first of four relief appearances on 6/26 vs. Columbus...Picked up lone save (thirdcareer) on 7/21 at Asheville...Went 3-1 with a 2.25 ERA (28.0ip/7er) in five games (four starts) during the month of August and earnedPitcher-of-the-Month honors; he led starting pitchers in ERA and held opponents to a .176 average...Won his final three decisions and madelast five appearances as a starter. Spent entire season with Rome...Went 4-8 with a 4.97 ERA (88.2ip/49er) in 18 starts and 3-1 with a 4.34 ERA (29.0ip/14er) innine relief appearances...Posted a 2.45 ERA (14.2ip/4er) in four games during the month of April...Pitched 4.0 innings of scoreless reliefand picked up victory in first game on 4/9 vs. Augusta...Received a no-decision in first start on 4/15 at Cape Fear (3.2ip/2r/1er). ...Earnedfirst professional save on 4/21 vs. Lakewood...Picked up second save on 5/25 vs. Greensboro...Made 11 of his final 12 appearances as astarter...Was victorious in final outing on 9/3 vs. Greensboro. Went 2-5 with a 4.75 ERA in 13 starts and 0-0 with a 0.00 ERA in one relief appearance with Danville, Atlanta's entry in theAppalachian League...Made first appearance in relief on 6/16 before making 13 straight starts to finish the campaign...Lost his first threedecisions...Won first game in ninth start on 8/1 at Johnson City (game two). Allowed just one home run in 39.2 innings of work with the Gulf Coast League Braves during his first professional season...Went1-3 with a 3.98 ERA (20.1ip/9er) in five starts and 0-4 with a 5.12 ERA (19.1ip/11er) in six relief appearances...Lost his first six decisionsbefore winning lone game on 8/15 at GCL Marlins. December 21, 2018 Tampa Bay Rays signed free agent RHP Charlie Morton. October 29, 2018 RHP Charlie Morton elected free agency. September 8, 2018 Houston Astros activated RHP Charlie Morton from the 10-day disabled list. August 29, 2018 Houston Astros placed RHP Charlie Morton on the 10-day disabled list. Right shoulder discomfort. July 7, 2017 Houston Astros activated RHP Charlie Morton from the 10-day disabled list. July 2, 2017 Houston Astros sent RHP Charlie Morton on a rehab assignment to Corpus Christi Hooks. June 22, 2017 Houston Astros sent RHP Charlie Morton on a rehab assignment to Fresno Grizzlies. May 28, 2017 Houston Astros placed RHP Charlie Morton on the 10-day disabled list. Right lat strain. November 16, 2016 Houston Astros signed free agent RHP Charlie Morton. November 3, 2016 RHP Charlie Morton elected free agency. November 3, 2016 Philadelphia Phillies activated RHP Charlie Morton from the 60-day disabled list. December 12, 2015 Pittsburgh Pirates traded RHP Charlie Morton to Philadelphia Phillies for RHP David Whitehead. October 8, 2015 Pittsburgh Pirates activated RHP Charlie Morton. October 7, 2015 Pittsburgh Pirates reassigned RHP Charlie Morton to the minor leagues. May 25, 2015 Pittsburgh Pirates activated RHP Charlie Morton from the 15-day disabled list. May 14, 2015 Pittsburgh Pirates sent RHP Charlie Morton on a rehab assignment to Indianapolis Indians. May 8, 2015 Pittsburgh Pirates sent RHP Charlie Morton on a rehab assignment to Altoona Curve. October 25, 2014 Pittsburgh Pirates activated RHP Charlie Morton from the 60-day disabled list. September 16, 2014 Pittsburgh Pirates activated RHP Charlie Morton from the 15-day disabled list. August 28, 2014 Pittsburgh Pirates sent RHP Charlie Morton on a rehab assignment to Altoona Curve. October 3, 2013 Pittsburgh Pirates activated RHP Charlie Morton. October 1, 2013 Pittsburgh Pirates reassigned RHP Charlie Morton to the minor leagues. June 13, 2013 Pittsburgh Pirates activated RHP Charlie Morton from the 60-day disabled list. May 31, 2013 Pittsburgh Pirates transferred RHP Charlie Morton from the 15-day disabled list to the 60-day disabled list. May 27, 2013 Altoona Curve sent RHP Charlie Morton on a rehab assignment to Indianapolis Indians. May 16, 2013 Charlie Morton roster status changed by Altoona Curve. May 3, 2013 Pittsburgh Pirates sent RHP Charlie Morton on a rehab assignment to Indianapolis Indians. April 23, 2013 Pittsburgh Pirates sent RHP Charlie Morton on a rehab assignment to Altoona Curve. April 18, 2013 Pittsburgh Pirates sent RHP Charlie Morton on a rehab assignment to Bradenton Marauders. March 31, 2013 Pittsburgh Pirates placed RHP Charlie Morton on the 15-day disabled list retroactive to March 22, 2013. Recovering from June 2012 Tommy John surgery. October 31, 2012 Pittsburgh Pirates activated RHP Charlie Morton from the 60-day disabled list. June 24, 2012 Pittsburgh Pirates transferred RHP Charlie Morton from the 15-day disabled list to the 60-day disabled list. June 1, 2012 Pittsburgh Pirates placed RHP Charlie Morton on the 15-day disabled list retroactive to May 30, 2012. Right elbow inflammation. April 14, 2012 Pittsburgh Pirates activated RHP Charlie Morton from the 15-day disabled list. April 9, 2012 sent RHP Charlie Morton on a rehab assignment to Indianapolis Indians. April 4, 2012 Pittsburgh Pirates placed RHP Charlie Morton on the 15-day disabled list retroactive to March 29, 2012. Recovering from October 2011 right hip surgery. October 27, 2010 RHP Charlie Morton assigned to Toros del Este. August 28, 2010 Pittsburgh Pirates recalled Charlie Morton from Indianapolis Indians. July 2, 2010 Pittsburgh Pirates optioned Charlie Morton to Indianapolis Indians. June 6, 2010 sent RHP Charlie Morton on a rehab assignment to Indianapolis Indians. May 28, 2010 Charlie Morton roster status changed by Pittsburgh Pirates. June 10, 2009 Pittsburgh Pirates recalled RHP Charlie Morton from Indianapolis Indians. June 3, 2009 Atlanta Braves traded RHP Charlie Morton to Pittsburgh Pirates. June 3, 2009 Charlie Morton assigned to Indianapolis Indians from Pittsburgh Pirates. 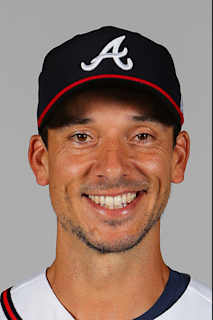 April 12, 2009 RHP Charlie Morton assigned to Gwinnett Braves from Atlanta Braves. April 11, 2009 Charlie Morton roster status changed by Atlanta Braves.